Puma has unveiled the new Puma BioDrive Leather golf shoe, a spikeless and sophisticated shoe that will complement the space-inspired Puma TitanTour shoes it revealed in January. Putting emphasis on three specific zones, in the forefoot, mid-foot and heel, the Puma BioDrive Leather will offer increased flexibility, balance and stability. Grip and control have been maximised thanks to six octagon shaped pods in the forefoot, with four connecting pods in the heel ensuring stability. The 10 pods combine to offer strong grip, making the Puma BioDrive Leather suitable for indoor environments too. Soft memory foam in the tongue offers added comfort, while carbon rubber in the outsole provides durability. An OrthoLite sockliner also gives cushioning, moisture removal and anti-microbial performance. 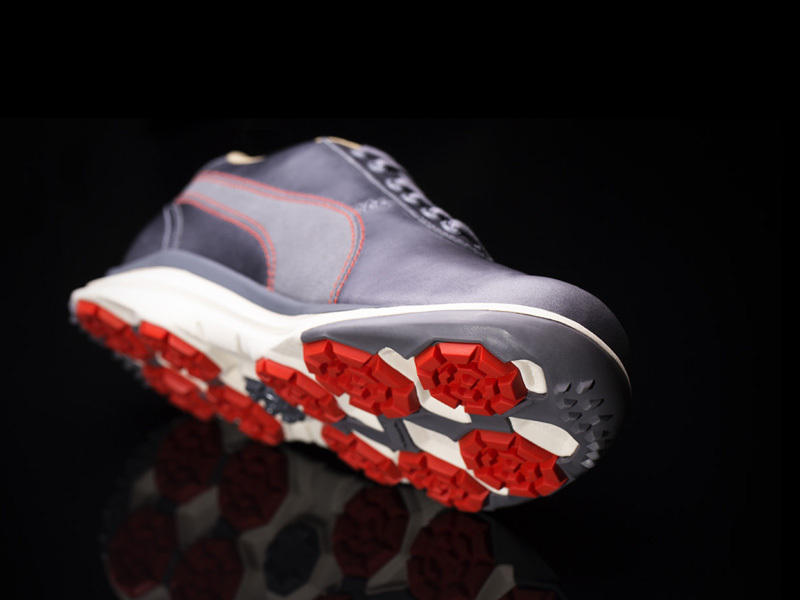 The Puma BioDrive leather golf shoe comes in four different colour combinations as displayed below – Steel Gray/Spicy Organge; Bison Brown/White Swan; Black/White/Tango Red and White/Limestone Gray. 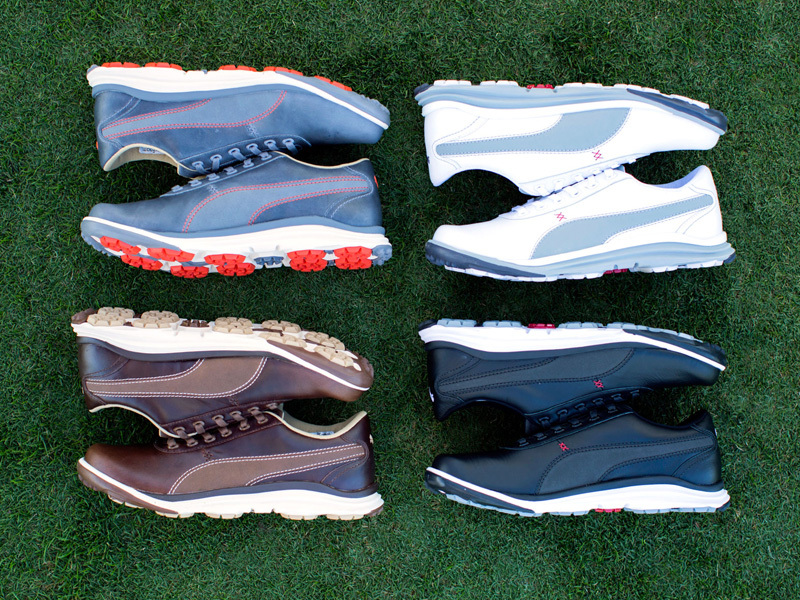 “The new leather model brings a more premium and sophisticated look to BioDrive, while maintaing all of the comfort and performance features from the original mesh version,” said Grant Knudson, Puma Golf’s head of footwear. The shoe will retail at £100 and will be on sale from April 1st. A two-year waterproof guarantee is also included with purchase.